Happy Friday LabWrench users, I hope you all had a productive week. In today's blog, we will be having a look at GC Systems. If you have ever worked in a laboratory, chances are that you are familiar with the many uses of Gas Chromatography systems. Some of these uses include the separation and analysis of compounds, testing the puritfy of substances, and identifying unknown samples. An interesting feature of GC Systems is that they can be used in conjunction with many different detectors which helps increase the flexibility of the system when identifying particular substances. For example, gas chromatography-mass spectrometry (GC-MS) is considered the “gold standard” in the field of forensic science when it comes to substance identification. Click here to learn more about what to look for when choosing the right GC-MS system for you. 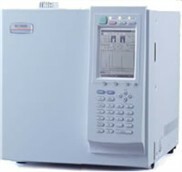 The Agilent 6850 Series II GC is an excellent choice for any laboratory where bench space, ease of use, and independent channel flexibility are important. The Bruker SCION series is designed to be simple to use, incredibly sensitivity, and delivers robust & reliable performance. Does your GC System need Repairs? By constantly investing in their lab facilities, technology and personnel, Pace Analytical ensures quality service standards remain high. Pace Analytical’s Instrument Support Group (ISG) provides laboratory instrumentation services, including: preventative maintenance, equipment repair, training, installations, and system customization. 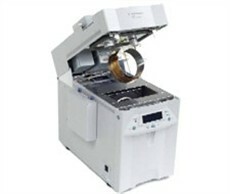 GenTechScientific is an organization which provides the scientific community with refurbished analytical equipment in addition to reliable lab instrument service and repair. 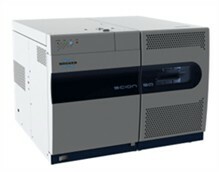 Futhermore, GenTech has expanded to offer their customers refurbished Mass Spectrometers, Gas Chromatographs, High Performance Liquid Chromatographs, Atomic Aborption and Inductively Coupled Plasma systems. Have a good weekend LabWrench users!